Friends! The podcast passed 100K downloads a couple weeks ago and I wanted to host a giveaway to say THANK YOU for listening and sharing over the past eight months! It has been one of my very favorite endeavors so far in my online sharing career, and I hope to continue to share inspiration for a creative, adventurous, and intentional lifestyle for years to come. To celebrate, I’m giving away 5 prize packages, all things that I have featured on the segment Peaks of the Week! One winner will win each of the five prizes, and there are a few ways to enter! 1. Leaving a review on iTunes for the show. Podcasts live and die by the reviews and the feedback that is given by the listeners, so your reviews are really important in sharing the show with a wider audience. Every single written review will be entered into this giveaway! Winners are shared on the show notes for Episode 35!! Did you win? You guys. I have such a fun show for you today. I have a special guest with me! Natalie Norton and I go back a few years. We met in person several years ago at a conference in Utah and just, I love her vibe. She’s an incredible person. If you haven’t been familiar with her before, I encourage you to look her up. I’m going to leave her Instagram and her website and all the things in the show notes as well. 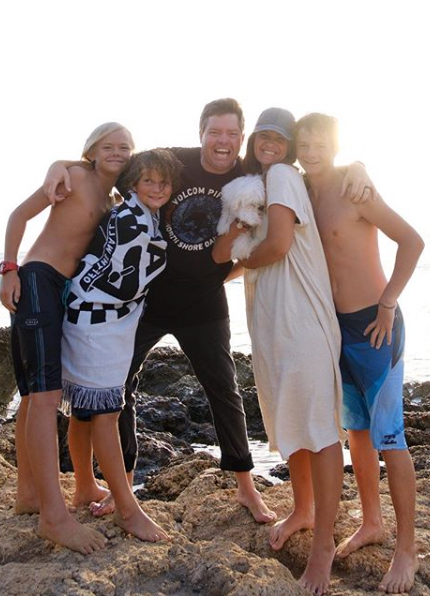 She lives on the beautiful island of Awahoo with her family and is a life coach, a speaker, the coauthor of an incredible book with her husband, Richie Norton. They wrote the book The Power Of Starting Something Stupid. They live their life out loud and a really such an incredible example of what is possible when you decide what you want for your life and you just make it happen. Natalie is one of those women who can’t help but ooze inspiration. She is a natural born teacher and mentor and you can see that in all of the things that she creates. The way that she shows up even on Instagram is continually giving inspiration, giving instruction, giving tips and offering something of value. 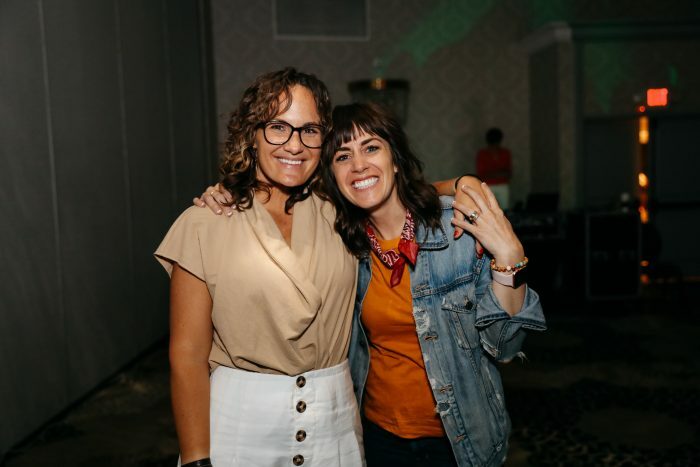 I am amazed as I see all of the different things that she is able to teach through example and also through the different platforms where she shares and I’m so excited to have caught up with her in palm springs at alt summit. We sat down in her hotel room with people splashing in the pool outside nearby and just have an open, interesting, wonderful conversation. We sort of let the conversation guide itself and where we ended up taking it was to the idea of how we align our action with the values that we have in our life. Recognizing that everyone’s values are different and so our lives we’ll all look different. These are ideas that you’ve heard me talk about and touch on before and I loved the way that Natalie brings an entirely new perspective. 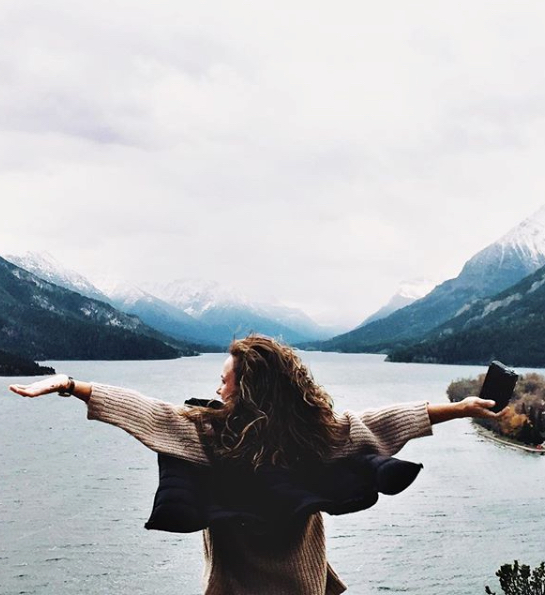 She shares some of the lessons that she’s learned in her life and how she’s gotten to where she is and the place that she is able to live in alignment with her values. And I also want to mention, we talked about it briefly in the middle of the show, but you may not catch it entirely. 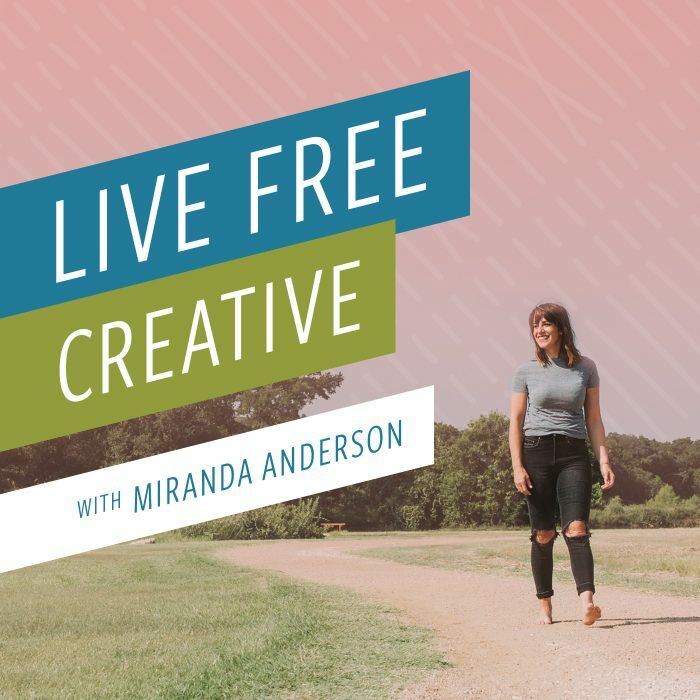 So I just want to make sure that you are aware that there is a printable, a worksheet that will help you work through some of the things that we discuss in this episode about deciding or recognizing or remembering your values and then determining where they’re showing up in your life and how you can maybe make a few adjustments so that you are more fully aligning your daily life with the values that you hold dear. Download the printable worksheet RIGHT HERE! Now, without further delay, I’m going to share with you this open, wonderful, inspiring conversation that I was able to have with Natalie Norton. M: Natalie, I’m so excited to be sitting across the table from you right here, so excited to be here. You guys. Natalie Norton is here on the show. We’re sitting in beautiful palm springs inside a hotel room with people hanging out at the pool and I definitely see a giant pink flamingo inflatable pool toy. N: There’s also a lot of good looking speedos down there too. I’m facing all the beauty. Yes. M: So Natalie and I are together in person, which doesn’t happen very often because Natalie lives on the beautiful island of Oahu. And before we jump into this episode, I want to give her a chance to introduce herself and then we’re just going to, um, just have a conversation that, um, hopefully we’ll have some value for you. So Natalie, tell us a little bit about who you are and what you do. N: Okay. So as you mentioned, I live on the north shore of Oahu in Hawaii and first moved there in the year 2000, and it is just such a phenomenal place for us as a family. I’ve got, um, four wonderful boys. One um, one of those little guys passed away in 2010 and so three living boys and they’re all surfers and we’re just outside all day, every day. And it is just such a gift in every single way. Um, professionally, I have worked as a life coach for the last really almost 10 years now, nine years. Um, I do a lot of speaking. My husband and I wrote a book together called The Power Of Starting Something Stupid. Um, I’m currently working on another book that the title will be announced. I’m sure at some point when I get, when I get a little bit closer in, in the process here. Um, but most recently I’ve launched a podcast that’s called the Show Up podcast or Show Up with Natalie Norton. And it’s really just about personal empowerment and taking responsibility and building your life according to the dictates of what really inspires you and, and what’s aligned with your values. So I’m really just passionate about empowering people to show up and live their very best lives no matter what. Well, I love that. I love watching you do that in your own life because you and Richie show up for your lives and your key. I’m a gosh, your key to teaching your kids to show up for their lives as definitely an unconventional life, which is funny because I don’t know that I’m always aware of how unconventional it is until people pointed out, right. Um, because to us it’s just our life and we’re just making decisions every day that, that really, that really resonate for us and that serve us in our, in our various callings as it relates to our mission and our goals for our family. But, um, every now and then it just becomes so glaringly obvious to me that, oh my gosh, we do things really differently than other people. And, um, it’s, it’s something that I’ve become increasingly proud of and I, and I don’t know, maybe proud isn’t the right word, maybe fulfilled by, right. It’s just this real sense of, of quiet fulfillment. And it’s a beautiful thing. M: You know, it’s so interesting that I think we’ve been talking even just earlier today, we were talking about how our work is different. Our companies are different. The types of the, you know, the way that we show up in, uh, teaching other people were, we’re both really teachers. I think that’s the way I know primarily what we consider as our primary roles in whatever capacities that happens. But what we want for other people is for them to live their lives differently than anyone else because it’s right for them. And then, and I don’t consider my life to be, you know, wildly different than people around me. And then like you, every once in a while I look up and I think we’re really marching to the beat of our own drum. And, uh, and I feel really like you, I feel really empowered in that I’m really good about it. And I have people tell me because of x, Y, orZ , I feel like I have permission to do the things in my life that I want to do. N: I just want to interject here for a minute because that actually reminds me of a story and I have thought about this in quite some time and, and just to preface it a little bit, it almost seems like the opposite of what you’re saying, but I, I, I, for the first time ever, I’m seeing it in a new way. So I was a senior in high school and I was sitting in the drama room and I remember like vividly the layout of the room. I remember where I was sitting because this experience was actually fairly emotional for me, I think because it was the first time I’d ever, I’d ever looked at the world in the way that, that I did in this moment. So I’m sitting on these little steps in the drama room and there’s these two adult women, two moms of other of other students in, in my high school. And they’re talking, and I’m not really paying that close to 10th of, uh, attention to what they’re talking about. But you know, there were there within earshot and at some point in the conversation, Ikea. And, and I realized that there they’re really saying some really unkind things about another woman that, um, that I’m assuming was a friend or someone in the community. I had no idea here. And it was so interesting because I grew up in a home where like truly my mom just didn’t gossip. Like my parents just didn’t talk about other people. It was kind of like, as a matter of principle, and I’m not going to get into like the, the moral authority of gossip or not. And then I, that’s not the point of the conversation. But what happened for me in that moment was this sudden realization that becoming a grownup didn’t mean that you grew up. Yes. Right. And it was so fascinating to me because it was, it truly the thought in my mind was grownups do that, right? Like, like grownups talk about other people in a, in a disparaging way. I, it was honestly that shocking to me because to me it seemed like something we would grow out of in the natural progression of our lives. And so for me to go, wow, I will only shift in progress as I so choose. Right? And here I am 17 and 18 years old. Having this realization, and that’s sort of what I see happening within our lives now as we’re building them. It was like in that moment realizing that those two women chose to stay stuck, coordinate quote in a pattern of being that I associated with adolescence. Right? But for them, they were adult women and they chose to stay there and that’s fine if you know it’s their life, it’s their world. I have, I am not allowed to have an opinion about it because genuinely it has nothing to do with me. But I did have the right to have an opinion about the way I did things and I did have a responsibility to make decisions about the way that I would choose to live. And realizing that it wasn’t just going to be a natural progression really was an empowering thing because I recognize that it’s all about the choices that I make and how I build this thing called life. Right. I love that so much. M: I can remember if similar, uh, mental shift that I experienced so I wasn’t so young but sitting, and I think I’ve shared this before in a place or two that I was sitting in a conference, it was actually alt summit, but several years ago is where we are, where we are right now. I was sitting in a conference and step, uh, Stefan Sagmeister has this brilliant, um, designer. He’s a brilliant, a little bit eccentric. I mean a lot. N: Eccentric it actually is like kind of why I also kind of my favorite kind of person. M: Yeah. I mean you would love him if you’re unfamiliar. So he was giving this talk about happiness and I’m going to check tangent for a second cause I think those, there’s a couple of funny things that he said, but one not funny, but really like cool and interesting things that he said. He was talking about happiness and he first, I think you’ll appreciate this, he said that, you know, he kind of showed the timespan of a, of a person’s life. That we are born and we live, you know, 18 years or so with our parents going to school and then we spend like 40 years or so working and then we spend 20 or so years we’re in retirement, whatever that looks like, whatever that means. And he said, this part in the middle is what concerns me that we spend 40 odd years doing, who knows what. And then at the end of all of that, it’s like that’s when you get dessert after this whole long life. And he said, what would happen if we took some of that retirement and we built it in to these years in between. And so he said, I divided it equally and said we’re, I’m going to do seven years of work. And at this point he had done, he was like in his eighth year of practice. So he had done seven years of work and then taking a full year off. And granted not everyone’s life can look like this because he owns his own design firm and you know, he has some autonomy. It’s a luxury. Definitely. Absolutely. But the idea was every seven years he was going to take a full year off sabbatical and he was just, and then he would extend his working years by those seven years in, you know, so he’s going to intersperse here interspersed his working years with a year of retirement. So he get to enjoy it all along the way and something that, so first of all that was like my knowing that like you can just do that. Yeah. And then what I loved the most was that he followed it up with, he had just come back from that sabbatical where he spent a year in Bali. Like life is a dream when you’re on an island. There’s monkeys in Bali, so that’ll just give you an idea. He had spent a year in Bali just kind of exploring and enjoying and actually had started a pet project. He was working on a documentary about happiness and all of this stuff, and then he got back to work and this was shortly after he had gone back to work and he said already every single major contract that he had signed in the design firm since the sabbatical had come as a direct result of something. He was inspired by on the sabbatical. Yeah, and he said creating that openness and that space within his working years and within his mind, within his creativity allowed him then instead of just head down, we’ll get it all done until you retire. He created this environment where then it would actually improve and perpetuate the flow of his work. N: You know the interesting thing about that, the, the book that Richie and I wrote together, it’s called the power of starting something stupid. It really, it’s, there’s, there’s a lot of common themes there. The idea being let’s not delay those things in our lives that we value, that we value the very most and, and the idea really for my husband and it is his project, definitely I participated, but it is, it’s his baby. This book in this, um, the, the business that’s built around it. But, um, what happened is a few different, a few different things. First, we were involved in micro finance and that’s, you know, if you’re unfamiliar microfinances when you know, you go into, into communities and you give micro loans that then allow people to scale their little businesses, maybe it’s like basket weaving or, or whatever, and allows them to then scale and payback with very low interest rates. Those loans that they were able to kind of get on their feet. And then the idea being that they’re then able to employ others and then they, they do better and then building. And so that was the first few years, um, our first few years of professional life were spent in, in the world of micro finance. And, you know, there’s no money to be made there in terms of like for us to support our van is good to do a lot of good to do and not a lot of money to be made. But that’s, that’s fine. But the, the reason that that Richie was so specifically passionate about that was that he recognized that a lot of people didn’t have the luxury of being able to be together. And the reason that this was so evident to him is he was living there as, as a missionary for his church or for our church is in Brazil, in Brazil, excuse me. Yes. In Brazil. And he would go to church on Sundays and the congregation would be full of women. And it was because, not because the men didn’t want to be there, not because they didn’t want to participate, not because they didn’t want to spend time with their families, but because they legitimately could not take time away from work for a few hours on a Sunday or their family would not eat food. And so Richie thought, you know, how can we support these families and being able to spend more time together? Well, what if instead of having to go and work at some factory, they were able to take this great skill that they have and make it marketable and actually create something that then would allow them to have some self reliance. And then once they became self reliant, they could then turn around and bless others. So that was sort of the first spark and I mean he was like 19 or 20 years old and, and that was when the first spark came and then kind of we got married very young and we truly gave all of our money to this. I mean we had just enough to like survive and Richie was, this is not like me. I, it blows my mind knowing my husband and who he is now, he actually worked as a night janitor at a local like real estate plays the real estate management office in order to, to keep us afloat while all of our money was going back into these, into these micro loans in order to help people, you know, start these, to start, perpetuate these businesses to bless their families and their communities, which is awesome. And then from there he started to do, um, work in life insurance. And so he’s going in and he’s, he’s talking to him is, he’s conducting all these interviews, hundreds of interviews, and a lot of these people, we’re now at retirement age. They’re in these golden years that they’d been waiting for and they have been putting everything aside for this magical time when now they actually get to do what they’ve always wanted to do and now they have time to spend with their family. Now they have the ability to travel now they, they are, they have the time to pick up that hobby or two to work on those, those, those values and those goals that have always been a part of their hearts swell in a lot of the cases, a lot. I’m not going to like go so far as to say a percentage because it would probably be way off, but a considerable number of these interviews, things had had taken a hard left and maybe a spouse had been, had become sick or passed away or maybe a bad investment had left them with less than they had imagined. For this time in their lives that they had been truly postponing for 40 for 40 years. And so between those two experiences, the work we were doing in micro finance and the desire that we had to help people be able to be present and available in their own lives, and then seeing what was happening, even in our own country, even in middle class America, seeing the way that people were pros postponing those, those most important values, I their lives only to find that perhaps it was the elusive carrot, you know, on the end of the stick. And, um, how unfortunate that was. And so it’s interesting that that’s the story that comes to your mind because that is legitimately directly aligned with the reason that we do everything that we do. And then, you know, on top of that, we’ve had, we’ve had a lot of, a lot of unique experiences, um, in, in our family. One of which being the death of my brother when he was only 19 years or sorry, excuse me, 20 years old, 2021 years old. I’m too young and too young. Yes. Thank you. Too Young. He was my only sibling, my dearest, dearest friend passed away and thank you. Passed away unexpectedly and asleep. And that’s just like any dream, any goal. And thank heaven, my brother was the kind of person who took life, um, every day and lived it out loud. It was just ingrained in everything that he was to show up and to be fully available and engaged with joy. And that’s amazing. And it makes me so happy for him. And still anything beyond that, anything that he had postponed for a future time now is gone. Any desire I have to connect with him in my life moving forward is gone. Right. And so they, Kevin, we prioritized each other while we have those years available to us than just two years later we lost. We lost our son. Um, and when you go through those kinds of things and you realize the fragility of life and we’re all told, we know that it’s fleeting, that’s not some big surprise. How many times know like, like you can’t take it with you and like nothing lasts forever and Oh, it goes so fast. You know, like all, we hear all these things, we know it and you say it real way that we tell each other and we think we believe it or I need to think that we’re prioritizing it. But when the rug is actually pulled out from under you, when the bottom falls out and you are careening down into this unknown world where there’s not a do over, where there’s not some future time that you can look towards and postpone towards and you realize this really is it and the finality of it is so incredibly clear, how can you not completely revolutionize the way that you show up in your life? Right. Right. And because in my mind, everything, the impermanence of things is so glaringly apparent. And so if there is something pressing on my soul right now, if I feel an inclination or a stirring or there’s certain values that I profess to really believe I have to prioritize them in the here and now because I am not convinced that anything will necessarily be guaranteed right in the, in the years to come. M: I mean, what a powerful lesson that you’ve learned through some really, really hard and experiences. I have a question about what about those of us who haven’t experienced such trauma but still want to show up every day for our lives with that idea of the finality. And I feel like I, it resonates with me and I’m, I’m living that way, but it didn’t come through losses. It came through kind of quiet moments of paying attention and introspection and focus and um, kind of some Aha moments. The same Stefan Sagmeister talk, this one simple ridiculous thing that he said was like a light bulb that I like should have tattooed somewhere on my body because this is that he said it was a slide I remember it was like a black side with white font, just like the most basic slide, but it’s like etched in your memory, etched in my mind. And it was like your 17 year old self sitting there thinking, oh my gosh, I don’t automatically grow into like uh, you know, uh, put together adult that like does everything the way that end quote unquote adult should do it. I’m sitting there as an adult at 20, I don’t know how old I was, 26 or something, sitting there thinking I’m an adult with children and a husband and a house and I have not been doing more of the things that I like and less of the things that I don’t like and I don’t know exactly why. Yeah. I was like, what, what am I doing and what do I like? And I think I was doing some of the things that I liked some of the time. I know I was doing a lot of the things that I didn’t like that much, but that I just felt like it was sort of supposed to do or that like I should do or like that’s the right way to do things. So I would love to hear your ideas about how someone who hasn’t faced dramatic trauma could come to the same feeling and understanding that they want to show up everyday for their life like that, that it is finite and that they do that they have this incredible moment right now to like see, like how do you create that urgency in that, that agenda for people without the trauma? N: Well, it’s a challenge because of course without the trauma, the urgency there, there always be a difference in the way that, um, that we’re going to view an associate with things when we have experienced life in one way versus another. But everyone’s experience is so different. So like, let’s not make it hierarchal, right? Like, yes, this is my trauma, but there’s other traumas. There’s other things that, that show up in our lives that are not the same as death but are still incredibly challenging. And so first of all, honoring that. Right? But I think that no matter what, whether it’s a trauma of a death or whether it’s just you’re living your life everyday and you’re wondering why am I not doing more of what I like, right? I would, I would challenge people to look at their motivation. That’s all you have to do. Don’t, don’t go and think, oh, I’ve got to change the way I live and I’ve got to live for now and I got to quit my job and move to Paris. M: Please don’t quit your job because of this podcast. We won’t be responsible financially for anyone’s job losses. N: Seriously, seriously, or anyone’s divorces because one of you decided to quit your job about telling the other throw caution to the wind to do not throw caution to the wind in those ways, but really checking your motivation. That’s something every single one of us can do right now. So I’m living in this way and am I satisfied by it? And if I am, great, what’s my motivation? Like why am I making this choices if I’m not satisfied with it? What’s my motivation? Why am I making these choices? And as we look at it in that way, we were going to maybe have some things really revealed to us. Are we behaving in the way that we’ve behaved because it’s all we’ve ever had modeled for us. Are we behaving the way that we’re behaving? Because it’s a cultural expectation because it’s, it’s what it’s, it’s just the way that they, just, the way things are done, right? And if that’s the case, is that really resonant with what’s inside of us? And it may be and if it is awesome and if it’s not awesome, right? But first having that clarity, tapping in, checking, motivation, checking values. It’s amazing to me how many people that I work with in every facet of life, whether it’s in their creative businesses or their brick and mortar, like the shops or an online store or people just send their individualized with LED’s coaching or when I go and speak and train groups in an employee type situation or at a retreat, how many people think that they know what they value, but they actually haven’t ever really done the work to determine what they value. And it’s fascinating because if you say to them, what do you value? You know, they, they’ll rattle off 10 things and then I say to them, okay, are your behaviors aligned with her, with your values? And often they are and usually the ways that they are aren’t really in the quote unquote values, but more in the morals. And there’s a difference. M: Tell me the difference. N: So if you think about a moral like morally, I, I believe in honesty. So I telling the truth, yes, I’m telling the truth, right? That’s that’s my morality. But I value time with my family. Okay. I value having a clean and organized home where I value travel, right? Right. I morally, my moral imperative is to do unto others as I would have done it unto me. Right? So I’m going to serve and I’m going to give and I’m going to make space for those things. And the, our moral imperatives are non negotiable for most people. And it’s really a part of most people’s spiritual framework. And, and not to make it overtly religious, but just in terms of like this is the moral fiber. And this is the backbone of the way that I choose to conduct myself in the world in which I live. But our values aren’t necessarily so universal. Right, right. Like you are allowed to value fashion and I am allowed to not care about fashion. I’m allowed to instead of value photography or I’m allowed to value, um, having a really expensive sheets because I love snuggling up in if, you know, that’s not necessarily the value that I have, but they can be a shallow or as deep as we want them to be. Right. But I’m just using some kind of like strange examples but to, to step into, great. Just to set up like the, the dichotomy here to help you just to see what we’re talking about. But yeah, when we, when we come to values a lot of people, and the one I hear most specifically is people saying that they really value time with their family. And it’s so fascinating because 99% of the time they’re postponing and sacrificing time with their family in exchange for the hope that they will in the future, have time with their family. More time. Exactly. M: Less time now. Really more time or more time later. N: Yup. And how can we flip that on its head and yeah, right. We don’t know. How can we choose to flip that on its head and it’s going to look different in every single set of circumstances. An example in in our life is, you know, my husband and I really, really value time with our kids and we want to be present and available for them. And so one of the things that we’ve decided to do, there’s the everyday in, in a child’s life, there are crossroads, right? There’s times of coming and going and transitional moments. Yes. Like they’re getting up in the morning and they’re headed off to school and then either being picked up and brought home to school and then, you know, they’re going out surfing and then we’re coming home, whatever. And they’re going to look different in every life. But you know, for us what we decided is what would happen if we made morning dropoffs a family activity. And as for many years we don’t do this anymore because our kids all, there’s so many different schooling situations as they grow up is actually great. When they were young, we prioritize my husband and I together driving the half hour together as a family to school every morning and having that time as a family together to connect and to talk. And it was amazing because it’s free of any kind of distraction. Right? Right. And we’re valuing our time together and then we drop the kids off and then Richie and I have this whole half hour drive home for us to connect as husband and wife and to talk and to discuss and to make plans. And as often as possible, we would do the same thing in the afternoon when we picked them up. Now is that realistic for every single person out there? No. Some people are going to have different schedules, different jobs, different priorities. But that was one way that we found that we could value and and really put our um, align your values with our actions. Exactly. And it’s, and it’s an interesting exercise and we don’t want to get down on ourselves, but it’s an interesting exercise to really do the work of defining the values and then seeing if the behaviors might not. M: I love this. Why don’t we take a second. If you are driving or running, don’t stop or doing dishes, probably continue. But if you have a little bit of space and if you don’t come back to this and I’m going to put a printable PDF in the show notes with some space, some actual physical space where you can write these things down. I want you to take a second. If you’re running or driving or doing dishes, just think about it for a second. Let’s just create a little space here. N: You know something. For those of you who are running or driving, maybe not driving, I don’t know, but I often recommend that people, if they want to come back to a specific place, just take a screenshot. So then you’ve got like a timestamp there. Then, you know, I want to come back to this moment in this episode and revisit this thing. M: Such a good idea. So this is where I want you to take a few minutes and think about what are some of the major values that come to mind for you? Um, time spent with family. Maybe it’s fashion, maybe it’s fancy sheets. N: Maybe it’s being outside, maybe it’s working really hard, maybe it’s your physical health or maybe it is having really good healthy boundaries or healthy relationships or, um, a lot of times for people they, they say that they value family, they’d say they value family relationships and yet there’s a lot of relationships that are in great turmoil, but it’s a hard thing to face it and deal with it. M: Right, right. And like taking a real look at those things. Make just a short list of some values that come immediately to mind. Things that when you think, what do I value those things pop into your head. Yeah. And then in the next column I want you to write down some of the things that you do in your schedule every day or every week and just just allow yourself, I mean without judgment, just as a reflective activity because how often do we actually give ourselves time to reflect? We’re often living so quickly that we don’t stop, but to give ourselves time to think about what we’re doing. So backup for a second and write down what is your, what are your, what do your days look like? What are your weeks look like? N: And you can go categorically too, like in terms of my family, what are some of the behaviors that I’m consistently seeing or in terms of my profession, what are some of the behaviors that I’m consistently participating in or what are some of the habits that I’ve formed or my physical health? M: And then kind of just start to take a look at the way that those things align, align or, or our don’t align… again without judgment and maybe maybe choose one that feels like a value that like really resonates deeply with you at this moment in your life. And I think values can often shift with times and seasons as well. M:What resonates right now for you that isn’t showing up? That you’re not doing, not because you don’t want to, but simply because it hasn’t happened yet. Or did you begin to think about it, it’s fallen out of your awareness. N: Yeah, I really like to do exercises of this nature from, you know, the space of neutrality. Totally. Meaning you’re just neutral like, yeah. The way that I can look at like a cup in front of me, I don’t have an emotion about the cup. I don’t have like an opinion about the cup. It’s just a cup and allowing ourselves to do the same thing as it relates to sifting through some of this because I’m going to tell you that there’s just, there’s, there’s nothing that will serve us by, by being discouraged or ashamed when we do these exercises, there’s really no good that can be done there at all in any way, shape or form. And so if we can look at it from neutral, then we actually have the power to objectively make decisions about where we’re going to go next. And when we’re able to remain objective, then we’re able to actually really facilitate positive and sustainable change. Right? M: Right. Yeah. I love that. So, you may be just as a little takeaway, you have something that you want to, I mean, we can all, we cannot progress, right? That’s what we’re doing here. That’s why you’re, that’s why you turned on the show because you hope to gain something that would help inspire you in some way to, to feel a little bit more aligned with who you want to be. This is about living the life that you want to live. And you wouldn’t be here if you didn’t believe in that. N: Well, and you don’t think that that I really, really want to drive home for everyone is it’s not just about the day in and day out. It’s also about living with an integrity to what, um, what really, really is within the deepest part of our hearts are resonant and core beliefs. 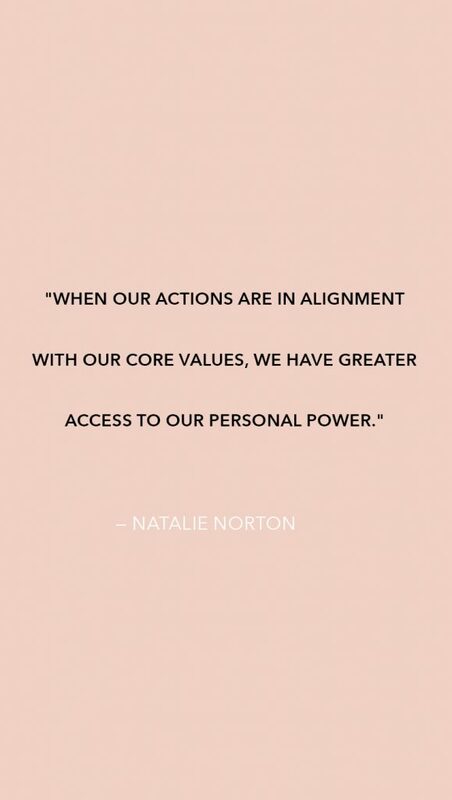 And the reason that that matters so much is that when we are out of alignment with those things, whether we know it or not, we don’t have as much access to a personal power, right? Right. And we don’t have as much access to our ability to show up in powerful ways in the lives of those that we love, right? We want to be leaders and examples to our children and to our communities and to our friends and, and to everybody that we interact with every single day. And when we’re, when there’s a missile, when we’re misaligned as it relates to our behavior and our values, the unintended side effect of that is that we do not have access to our full spiritual and mental and emotional capacities. Right? And how amazing is it when we do, and even how amazing is that when we’re reaching intentionally in that direction. It makes me think of, this analogy has been done to death, but it doesn’t make it less effective. The idea of a plane being off course, whatever, like 90% of the time or whatever, but it’s pointed in the right direction, it’s momentum, maintains, maintains pace and it stays moving in the, in the air and then those course, correct. Correction after course correction. It’s the intention of being pointed in the right direction and then being willing to course correct and course correct and course correct. That in and of itself is living with an integrity and that ended up itself has aligned our intentions and our values and our behaviors, even if it’s not perfect. And even if it’s not all the things at the same time. Right. And at the end of the day, what, what my biggest hope for people, and I know, I know that you’re aligned in this, is that they won’t get so busy with the day to day that they forget to pay attention to where they’re headed. N: There’s a, there’s a Covey ism and I’m, I’m not going to say it exactly, but the idea is that often we get so busy climbing this ladder and we’d got the ladder leaned up against, you know, whatever wall and we’re, and we’re climbing, we’re climbing and we’re focusing on every rung and the rungs are things like taking the kids to and from sports and cooking dinner and, and trying to start some new business about that. There’s something that we’re really, really passionate about. Or maybe we’re going back to school or maybe we’re paying our bills or it’s just the day in and day out. Things that take up our time and our attention and we’re so busy climbing and climbing and climbing that we forget to stop and make sure that the ladder is leaned up against the right wall. And for so many of us, we get busy climbing and we get to the top when we’re so excited and then we look around and we realized I meant to be all the way over there. M: Right. And that’s just so unfortunate and so unnecessary, right? Because these little readjustments in this little, these little moments where we can kind of touch base with ourselves and become more intentional, they really don’t take much. Right? M: They really don’t. They just take the intention to maybe have some more clarity and they take stopping long enough that we’re not on autopilot all the time. Right. And we can build these things into our schedules like you and I talked on, um, on an episode on my podcast about our physical environment. And one of the things I love that you said was just building it in building like organizational things in like you, you have these touch points with every single thing that you own every day. Like if you’re doing laundry, you’re going through and you’re touching everything that you own in terms of clothes, or maybe you know, you’re doing your dishes and you’re noticing that like addition has gotten really dingy or it’s chipped or whatever, and you can make decisions, organizational decisions in those moments that already exist. N: How can we build that in, in terms of introspection, right? A lot of us have spiritual practices in our lives and for a lot of us, the spiritual practices surround religious worship or, or church services, and even those things have become on autopilot in many cases because the, the goal of those things is to have the opportunity to quiet and connect with the divine, right? And that happens a lot of the time. But sometimes what happens is our religious services become almost like another thing to do or a barrier to entry, like a thing that we have to walk through in order to connect with, with God or with that light force in our lives. But they’re not a door through which must be walked. They are a means to an end. Right? And so if instead we start focusing more and more on the actual connection between us and divinity rather than all the things that need to be done, or all the tasks or the doors that need to be walked through or, but instead focus first on that connection between you and light between you and your instincts between you and those burning values within you, between you and the instinct that says, do this differently. M: You’re allowed to do this differently and it would be the best for you. And yes, you look to the left, look to the right. They’re not going to do with the way that you are, but that doesn’t mean you’re wrong. N: Right. Have a little bit of faith in yourself and when you have faith in yourself in that true Steve as part, guess what? You’re actually having faith in divinity. I look in, call it God if you want. I don’t really care what you call it. Yeah, but it’s that life force within you that is, that is pure truth and magic and light and it you just can’t go wrong. M: All of that encompasses the idea that who you are, like being in tune with your own divinity, that that means that your own divinity is different and separate and equally worthy as anyone else has anyone else. So you look to the left and we look to the right and things are are different and sometimes that makes you feel more successful and sometimes that makes you feel less successful, but none of that matters because the only thing that you have to align with is who you are inside. I loved your analogy with the ladder. I hadn’t heard that for a while. Yeah, I do remember that day. My husband Dave worked for Steven Covey for many years. But what it reminded me of actually on the flight here, I was listening to Mere Christianity. It had been so long since I listened to it and I, I was listening just with my eyes closed. It was an early flight and I was just like, okay, just enjoying, um, you know, kind of settling in to that truth, you know, just like, and I love the way that he explains things in these just really widely apply. He doesn’t assume expertise. He says, I’m just, this is mere Christianity. This is just like I’m a mere man explaining things the way that I understand that doing my best, doing the best that I can. Gosh, one of the things that he said that was like my eyes flew open and I had to grab my notebook to like write it down because I, that act of like writing it down would help me remember it was that Progress isn’t always moving forward. Progress is moving forward towards the, the place you want to go. So if you’re headed in a direction that isn’t where you want to go, you may be going full speed, but you’re not progressing. You’re going the wrong way. You got to stop and turn around or shift course and head in the right direction. And he in fact went so far as to say the most progressive person is he or she who recognizes the soonest that they’re on the wrong path and that term, you know about faces the most quickly and how often do we find ourselves running this race, running this race, watching everyone else, you know, feeling like we’re, we just really, really want to do a good job and we really want to feel all of these feelings and we really want to, you know, just be great and we haven’t taken that time to look ahead and think, does this align with where I want to go? M: Yeah. And, um, I think this exercise that we just did a little bit earlier and the costs going all the way back to your experience when you were 17, and my experience sitting, listening to Stefan Sagmeister, like what is it that you love and that you value and create your life around that and maybe trust that that’s divinely implanted absolutely right. N: That it’s not just some like pie in the sky thing or it’s not just like wishful thinking that maybe the reason that you feel so compelled and that it’s the thing that keeps pressing on your mind and on your heart is because it’s divinely implanted. And you’re just answering a call. M: I love that. I mean, it’s a beautiful thought. N: You were mentioning the idea of, um, progress is that the word he used was progress. Progress, I think very consistently about productivity. And, um, I, I’ve started over the last 10 or so years since I’ve been doing more and more coaching to refer to it as “produce-tivity”. Am I producing towards my goals and my producing towards the kind of environment that I want to create physically or spiritually or mentally or emotionally and my producing towards the kinds of relationships of trust that I want in my life. And so not just being so concerned with just keeping moving, but being concerned with production. And what does that look like? And it will look different for everyone. What exactly is being produced? Yes, exactly. Exactly. The actions that you’re taking your life, what are you producing? I also remember, and it, it’s, it’s just taking me back and I don’t know what it was that you said that, that triggered this, but I remember those early years. I started out for about a decade as a photographer before I script, before I transitioned. Yeah. Before I transitioned into the work that I’m doing now. And, um, it was a phenomenal, phenomenal job. I loved it so much. And, um, it was, I was so busy, I had three kids in three years and it was just constant work. M: Three kids in three years? I don’t mean to get off here now. N: Well, and now when I look back I’m like, oh my gosh, that was a little doing like at the time I had no idea. It was just plowing forward. Right. Babies need what’s next, what’s next? So Raleigh turned three and then it really turned three in June and then in August Lincoln was born. So like just under three years. That’s, I know that’s like about as quick as it can happen. It’s just, it’s insane and I’m so happy now. Like they, it’s just, it’s so amazing now. And it was incredibly challenging when they were very young. I’m sure. Um, but I remember this feeling, and this is the way I would always describe it, I feel like I’m going as fast as I can up an escalator that’s moving down. So no matter how little backward I go, I’m like, I’m not making any progress. Like I might stay where I am, but if I stop even for one second, I haven’t. And that feeling was just so overwhelming to me. And it was like one day I just, and it might honestly have been around the time my son died, my, my fourth child who was younger than my, so three and three years. And then there was a little gap and then, and then Gavin was born. And, um, it really, it most likely I don’t want to like, I don’t ever want to sensationalize by being like, and then when my son died, I had this realization because honestly, I don’t know that if it was directly aligned with, I don’t know that it was directly aligned with that, but I believe that it was. Um, I just remember realizing I could get off the escalator, that I didn’t have to keep doing things the way that I was doing them, right. That I didn’t have to do all the things just because everybody else was doing all the things. And particularly because I was compromised by grief and by trauma, I, I had to pick and choose a little bit. And I think that out of necessity, when you have to pick and choose, you tend to get really clear, really fast about what’s essential and what’s not. And now the beautiful thing that I had, the luxury, I would honestly call it that because I think that in many ways I have a freedom because of the, the challenges that I faced. I’ve, I’ve, I’ve got this, this new found freedom that many don’t come by in the same, in the same kind of way you think heaven. But also I feel for people, I wish that I could just like in part this upon them. But when you’ve been through something like that, you’re, you’re a lot less likely, or at least I should say I was a lot less likely to carry a lot of shame about letting things slide because I realized, dude, my kid died. Like I cannot cook dinner every night. I cannot cook some big organic meal every night and I’m going to give myself grace and tell myself, you know, I, that’s something that I’m going to let slide and I’m going to buy some premade meals at Costco and my kids are still going to be nourished and they’re still going to have great happy childhoods and it’s going to be fine, right? I’m going to feel better and I’m going to be a better mom that, I mean greater bandwidth, right, right. To do all of the things. And I feel like that period of my life specifically gave me so many opportunities to make those decisions because I genuinely was operating at half, half like it’s the same function have, I didn’t have everything, I didn’t have full my full capacity, I just didn’t, I was compromised. And because of that I had, I had permission to, to select and to be really selective. But I didn’t feel like anybody was holding me to a, to a standard of doing all the things for all the people at all times. And so I had this luxury of learning how to mindfully dissociate and disconnect and make really, really intentional decisions about what I had space and time for him, what I didn’t and what a gift that was. And for a lot of people who haven’t been thrust into the fire, it’s a little bit harder to give yourself permission, right? And so at this moment, this is me giving you that permission and saying you don’t have to go through something big and hard. And in fact, how heroic a view not to go through something big and hard and to still select to self select and just say, I’m going to do things differently and it’s not going to be because anything comes and whacks me upside the head. It’s not going to be becomes because my circumstances have shoved me in a certain direction. It’s going to be because I’m going to make an intentional choice and I’m going to tell myself I have permission to do so. Yes. And that’s incredibly courageous. M: Absolutely. And life changing and really everyone, no matter their season, no matter their circumstance, yeah, has that ability. N: But we have that ability at any time to choose what matters and to proceed forward in a way that we’re living aligned with those things and to um, willingly and gratefully and graciously say goodbye to the things that don’t hold value in our lives without guilt and without shame. Absolutely. Reintroduce things. Like if we let go of something, let me go, Oh, you know what? Actually maybe this is something that I want to hold on to. Like, maybe I actually do want to cook home cooked meals every single night for my family. You just start doing it again. What I like, this is not something that’s like some huge commitment that’s going to change our entire lives. Like let’s start small. You know, earlier in the episode you asked specifically like what, how can we motivate, how can we move in this direction if we’re not compelled to do so? And the honest to goodness answer is find opportunities for mindfulness. And what I mean by that, and I, and I’ve alluded to this in a million different ways, I’m just going to try to say it differently. Um, just so that we can all capture it in the best way possible. When you suffer big, heavy, hard things that you are forced to become mindful in your desperation, in your desperation, like the idea that there’s no atheists in a Foxhole, right? So like you choose because your only hope is faith in some higher power that might possibly be able to pull you through this thing because you are very clear that there is nothing in the physical world with the power that you need to do the impossible. But there is hopefully a power that is deeper and bigger than you. And so you turn to that and you’re forced to. Now it’s really essentially when all of a sudden done no different than finding periods of quiet every single day and choosing to tune in. And I developed a mindfulness practice. Um, it was, it actually wasn’t directly after my son died. I mean I grew up in a home where meditation was, was um, just a part of our life. It was just a very normal, fully integrated part of our family from when I was a little little girl. M: Meditation in what sense? Like sitting together as a family…? N: when I was really little. And you know, you have, you have people with, with young children. So I’m actually glad that you asked me to clarify that because there’s so many ways that can be done. And we could do a whole episode on this. I mean, it’s just something that I’m so incredibly passionate about, but, well, the way that my mom did it was through, um, guided visualizations. Like, you know, she would have us, she’d have is laid down and she’d say, okay, I want you to imagine like a warm light. And it starts at your toes and can you feel your toes for like when the warm light touches your toes. And you know, she, she lead the warm light all the way up our body until it filled our heart. And then it filled our arms and then soon our entire body was glowing and, oh, how does it feel to feel so warm and alive? Right. And what she was doing was teaching us to be present physically and mentally and spiritually in the moment that we were in. And there were other things that she did in addition to that. Um, I could seriously, I think I’m so tempted to go into all of that. An example. I mean, just even that example of what a gift have so many, I was very, very lucky. My parents were, um, my parents were very good at parenting us by the dictates of what they felt compelled to do within, rather than just what they saw everywhere that they listed and that we, and in many ways we had a very unconventional childhood, I believe, and, and very conventional in many ways too, but in that specific way as it related to, um, exposure to lots of different ways of being spiritually. I mean, we’re very, very well versed and very blessed in that regard. Um, but so I’d had exposure and so it wasn’t totally new to me, but I had never incorporated mindfulness as a consistent part of my life. Um, until it was after my brother had died, after my son had died and I had, we had a major move very shortly thereafter to Arizona from Hawaii, which just moving from paradise to the desert was incredibly, incredibly challenging me. Yeah. I mean, honestly, like I look back sometimes and I, and I almost like want to shake myself and be like, all right, come on, buck up cowboy. But our cowgirl, but at the time, cowboy, cowboy cowgirl, it really just was hard. It was, it really rattled me. And, um, and I felt parched. You know, I, I felt like a, it was just challenging. And I at the time started to have some autoimmune symptoms and, um, I was depressed and I was still grieving the loss of my son, of course, as I will for my entire life in one way or another. And in the death of my son, I was now revisiting some unresolved grief from my brother. It was just, there was a lot that was happening in my, in my heart and in my soul. And I remember I hadn’t really been spending a lot of time outside of my house, um, just cause I hadn’t felt well and the specificity of the memories that they have related to the story, it just kind of blows my mind. That’s how I always can tell if it’s something that really mattered, was impactful, was impactful because there’s just so much you could go right back and yet every detail. And so we had gone to visit, um, uh, a niece for her birthday. And on the way I realized we didn’t have a present and this is the first time I’d left the house in quite some time because I’ve been having a lot of really difficult symptoms. And, um, my husband stopped at like a border’s books or something or maybe it was a Barnes and noble, I don’t remember. Both are probably not there anymore. So we’d pull up and I was, I just remember like gearing myself up to go in because even that level of input, like the kinds of symptoms I was having, like my skin hurt and I would get itchy and my, every noise was like excruciatingly painful. Like I can feel noise in my skin, you know, and so going in stimulation and it was just hard. And I, I went in and I’m looking for a present for my little niece and I see this display and on this display there’s this yellow book and it has a red circle in the middle and I just remember being pulled towards it and thinking that is a really beautiful cover. And you know, I was at the time still kind of making the transition from photography to the other work that I, that I was doing. And I just as a part of that aesthetic and just the, the nature of photography in general, I had a real interest in design and so it just was so compelling and beautiful and I walked over and I picked it up and I flipped it open. And the first line in the book, or the first line that I read, I shouldn’t say I believe that there’s actually like an introduction before and that I have since come to know exists. And I took a deep breath and in that moment that was all I did. It was all I focused on. It was like everything else just dissipated. If that paraded, and I truly felt as though the weight of the universe just fell, crashed down off of my shoulders. Even in this moment, I can feel that release and I can feel that sense of of hope and safety because I wasn’t running a million miles ahead of myself, like stressing out about the future. I wasn’t a million miles behind myself worrying about the past. I was just where I was. I was there in that moment. And in that introspection, and of course I bought the book and it’s called You Are Here by Thich Nhat Hanh. And it is one of my top five favorite books of all time. And I would recommend it to anyone and they say it’s a good book. And that, that really started, um, a big transition for me as it related to prioritizing mindfulness for myself. And that above and beyond anything else has been the biggest contributor to my ability to become intentional, to remain intentional and to not be so swayed by external stimuli to be able to really, um, exercise or implement the idea of nonattachment having this, this sense of neutrality in everything, not being so attached to all of the things and all of the feelings and all of the thoughts and recognizing that everything is constantly changing and it allows us to just sort of release a little bit and just be with absolute permission. And you can focus, as silly as this sounds, focus on the way that the breath feels as it, as it passes through your nostrils upper lip and, and what, how about yeah, exactly. And what happens is it brings you so quickly to the present moment because it requires so much focus to feel something so simple and, and our mind. Imagine a fist making a fist and holding that fist for like months at a time. That’s sort of what’s going on in our brains, right? Because they’re constantly thinking and going a thousand miles a minute. And if we can stop for a second, it’s like our brain can unclench for a minute and it’s just so beautiful. And then that voice within us can actually rise up. Get through. Exactly. Because it’s always there, right? It’s just that we’re constantly going and we can’t always hear it. And another really great resource, you know, three, three deep breaths, every, you know, couple of hours and other great resource is an app called headspace and now they didn’t have a 10 a 10 minutes for 10 days kind of program on there that I believe is free. And then it’s a subscription one that I subscribed to that I love. And I would tell every one of you, if it’s within your budget to consider it, I’m sure they have a free trial as well. It’s called 10% happier. Oh. And there’s all of these little like meditations and like even like submit like essay type things. And there’s one on there that’s, that’s called meditation for fidgety skeptics. So I love it. When I saw that, I was like, oh my gosh, nobody has an excuse anymore. Because if we have something here for fidgety skeptics, like those are the two things that I feel like I just can’t sit still. I can’t quiet my mind or, or, um, I’m just skeptical. I don’t think that I work. That’s silly. That’s like, Ooh, like it’s out there. It’s not for me. Those two things are the biggest complaints. I’m like, well, you, you, you know, we’ve got something even for you and it’s just such a great resource and just start prioritizing five minutes a day, 10 minutes a day, and don’t even commit to it for the rest of your life. Commit to it for a week. Commit to it for three days. Experiment. I give it to him. Exactly. Experiment and more than anything else that’s, that’s the best way that I’ve found to turn down the noise on the unnecessary so that the necessary can speak. M: I love that so much. Yeah. What a beautiful lesson and creating space in our heads and in our hearts so that then in that space we can turn to and understand and maybe listen or hear what those values are that we want to align with and become more of our true selves. Yes. Be able to then have that power to live out our lives in the best way for us, regardless of what it is for anyone else because it’s, it’s for, it’s you. You are the one who lives your life. You’re the only one who lives her life. And like we talked about at the beginning, we have no guarantees for what that looks like tomorrow. N: Exactly. It’s here and with with your heart and your soul align as well as a line as you can find and be with your center and with your maker. Yeah. You know, there’s one last thing that that that just keeps coming to my mind and I’ve been thinking about this a lot lately and it, I hope it doesn’t sound morbid, but I’ve been thinking a lot lately about like his deathbed moments and you know, people always say on your death bed, you won’t like hope that you spent more time at the office or whatever. And I guess it’s kind of along those lines, but what I’ve been thinking a lot lately is when it comes down to it and I, and it’s the end, am I going to wonder what other people thought about how I lived or am I going to wonder about the experiences or am I going to feel more connected to the experiences that I had? Am I going to wonder about the relationships that I built? Am I going to be thinking about how, how did I do in those relationships or am I going to be thinking about what Sarah down the street thought about the way that I lived my life? I’m not going to be thinking about what anybody else did or how they did it. The only thing that’s going to matter to me is how I did it and I did. I do it with an integrity to that voice and that light within me and I, I really know there’s not a lot of things I can say definitively that I know that this is one. I really do deeply believe in that in those moments and that in those ends of life, in that end of life scenario, so to speak, the only thing that’s going to matter to any of us is if we did it according to the dictates of our own divine light. We’re not going to care the way that anybody else did it. We’re not going to care what anybody, the opinions that anybody else had. We’re going to care about those values and that light. And did we answer that call that burned within us? Did we do our part? Did we live with an integrity to the divinity within? N: I love it too. M: Thank you so much for sharing. Gosh, just went wide and deep and above and below. N: I had such an amazing time having this conversation with you for everything you’re doing seriously. I want your listeners to hear me say this. Like I just really am so impressed with the way that you’re showing up for your community and the way, first of all, that you just build a sense of community and help people feel as though they belong. And you’re such a good example to the people in your tribe of doing it your own way. And thank you for giving so many of us permission to do the same in our own lives. It’s really meaningful. M: Well, thank you for saying that. I feel the same way about you equally inspire me and I admire you and I hope that everyone who’s listening will we’ll find that same admiration and inspiration from not only in the way that she lives her life and invites you as do I, to live yours with more creativity and adventure and intention. Live your life the best way that you can for you and your family. That’s our show for you today. Thank you so much for listening. Thank you so much for being here, Natalie. N: Thank you so much for having me. Okay, friends. What a show, what a treat to listen to Natalie Norton, share her truth and wisdom and inspiration with us today. I hope that you have enjoyed the show and I would encourage you to grab that PDF Printable in the show notes and fill it out and start to actually apply some of these things concretely into your own life. 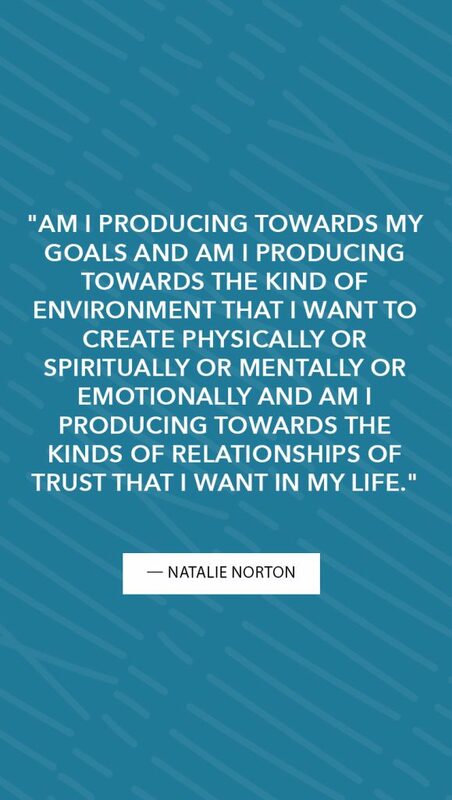 I want to encourage you to find Natalie online on Instagram @Natalie Norton. She has a weekly podcast that comes out every Tuesday Show Up with Natalie Norton. It is on my weekly podcast role. I listened to it every week and if you love my show, I know that you’ll enjoy her as as well. 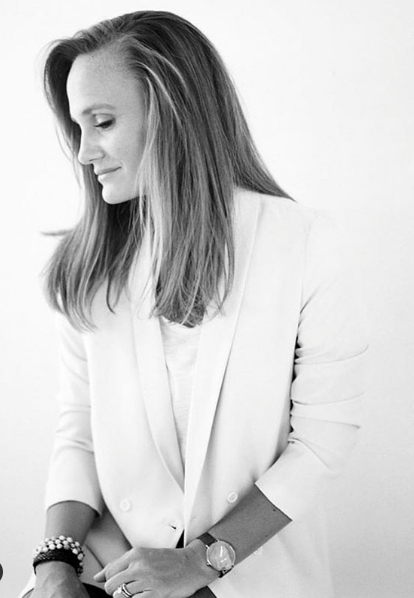 Natalie is also working on a new book and I will share more about it and when we know a little bit more because everything she touches turns to gold and so I know that it will be an incredible piece of work. I don’t want to get ahead of myself but you know how I feel like if you speak things into the world but there’s a higher likelihood of them coming to pass successfully. So I just wanted to share that you should keep your eye out for an event that Natalie and I are working on for the fall where we will actually invite you to participate. You may be able to come in person and spend a couple days with us learning and growing and inspiring each other. Thank you so much for being here. Remember to enter the giveaway, 100,000 downloads and you are. What made that happen? I’m so excited to go on to 200 and 300 and a million and a billion and a trillion, and the keep sharing forever. You’re the best. I’ll talk to you next week. Peace. Love your show Miranda! Congratulations on this awesome milestone!! How generous of you to do a giveaway! How do is PocketCast listeners review? I don’t have an apple account. Also, already subscribed on PocketCasts and look forward to your episode drop each week! I would love if you could make your volume louder. I have no clue how you could achieve this or if it’s happening to others. When I listen to your podcast on the car (the only time I can listen bc I play with my little kids all day) and I have Maps going, the Maps voice is super loud bc I have to have it turned way up to hear you. Maybe do a poll on IG to see if this is an issue for anyone else before you research it. Maybe it’s just my Android phone? I don’t have this issue with anyone else’s podcasts.